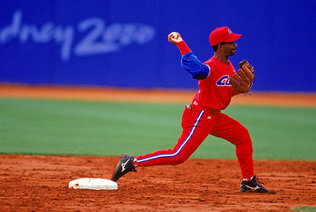 Germán Mesa is widely regarded as the greatest shortstop to ever have played in Cuba. Despite this fact, it is very difficult to find any information pertaining to him or any other legendary Cuban baseball players. Germán Mesa Fresneda was born in Havana, Cuba on May 12, 1967. He was 5’8″ and weighed 150lbs. during his playing career. 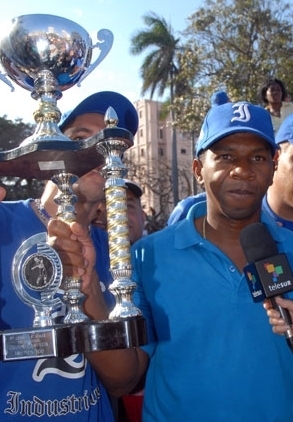 Mesa spent most of his career playing for the Industriales, but began with the Industriales’ “farm team” (the Metropolitanos) in 1986. 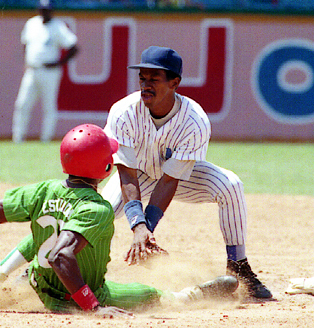 An above average hitter, Mesa was particularly speedy on the basepaths, leading the league 3 times (1988, 1989, 1991) and is 7th all time in stolen bases with 335. Despite being a well-rounded ballplayer, the one thing that stood out about Mesa’s game was his defense. He earned the nicknames “El Mago” (the Magician) and “El Imán” (the Magnet) based on his defensive play. 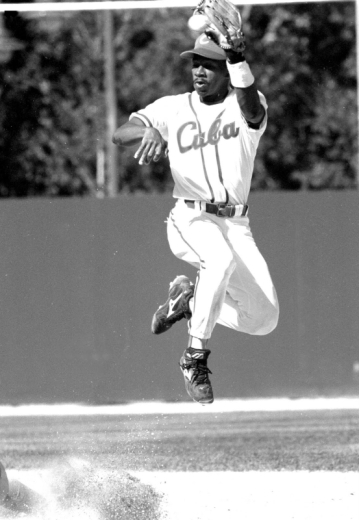 Ordoñez spent his entire Cuban baseball career as Mesa’s backup before defecting to the United States and becoming a big leaguer. 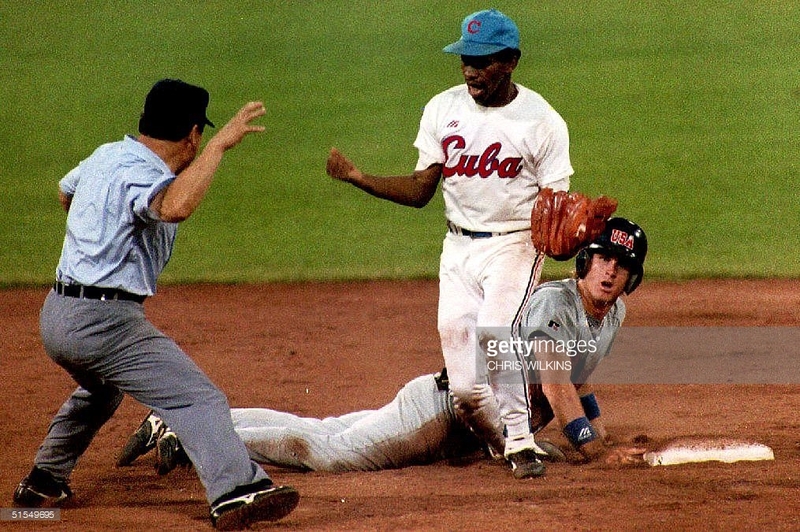 Mesa’s intelligence, sense of positioning, range to both his left and right, his elegant style and ability to make even the most impossible plays are why he is considered the greatest shortstop to ever play in a Cuban ballpark. Those who have seen him play even go so far as to compare with another defensive great, the American Ozzie “The Wizard” Smith. 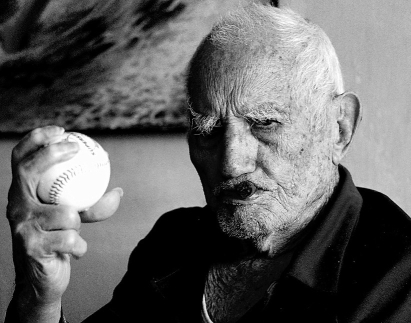 Cuban baseball icon and former big-leaguer, the 99-year-old Conrado “Connie” Marrero once said that Mesa was easily the best defensive shortstop he had ever seen, including his time in the majors with the Washington Senators at which time both Phil Rizzuto and Pee-wee Reese played. During international events, Mesa posted a .346 average (106/306). In Olympic competition, he won a gold medal in 1992 and a silver in 2000.
hey callum, great piece on german mesa. would love to see a bio of omar linares. i was at the world junior baseball championships in kindersley sask. in 1982? I remember linares just completely lighting up the USA and pretty much everyone else. The cuban players didn’t talk much to fans but i was lucky enough to get a few of them to sign my glove and linares was among them. From what I understand, steinbrenner tried very hard to pry him out of cuba but he refused or was “persuaded” to refuse. I’d love to see a post on whatever you can find of linares. Of course! I’d be happy to. 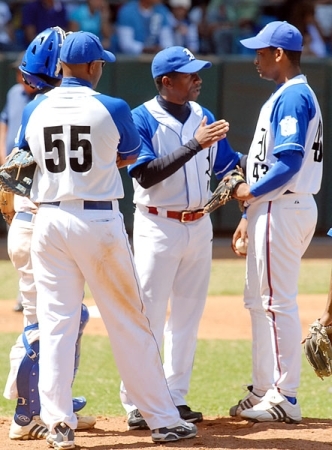 Linares is currently an assistant coach to Mesa on the Industriales. As always I love when you guys post about my hometown cuban players. I feel bad for other baseball fans for not been witnessed of these players. There are so many stories of German that I can spend days here writting and it will be little. 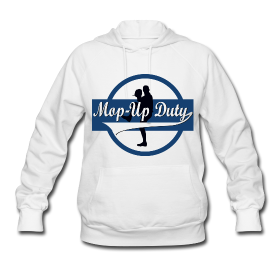 He used to with two outs, throw the ball to the first baseman and go straight to the bench without even looking if he had done an error. He was amazing. I never saw a live game of Ozzie but I have to be honest if German would had played in the majors now we would be comparing ozzie to him that’s how good he was. He had way better arm than Ozzie never had. To the one that asked about Omar linares, he is considered the greatest amateur baseball player. He started playing at the highest level at the age of 15. The story that I know is that a scout of the blue jays gave him a blank check to sing for them, promising to only play in games at home. Other people said that they showed him 14 Millions cash to leave the team in Atlanta 96 but that is kind of crazy I think.